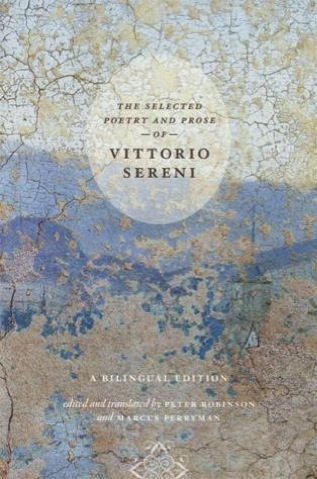 This publication contains the largest selection of Vittorio Sereni’s poetry and prose published to date, along with an introduction, a table of dates, a commentary, and a full bibliography. 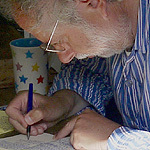 There are also sixteen black and white illustrations showing the author at various stages in his life, some of the original covers to his books, and a few manuscript pages. It is the culmination of some twenty-six years’ work on the part of Marcus Perryman and myself. The cover shows a detail (through the window behind Jesus’s head) from Leonardo da Vinci’s Last Supper in Milan. p. 179, after line 10. ADD missing line: truths on life. p. 275. ADD last line: and a slate multiply the summer’s color. p. 287, 15 line up: FOR impossible, or grievous, appear. READ impossible or grievous appears.